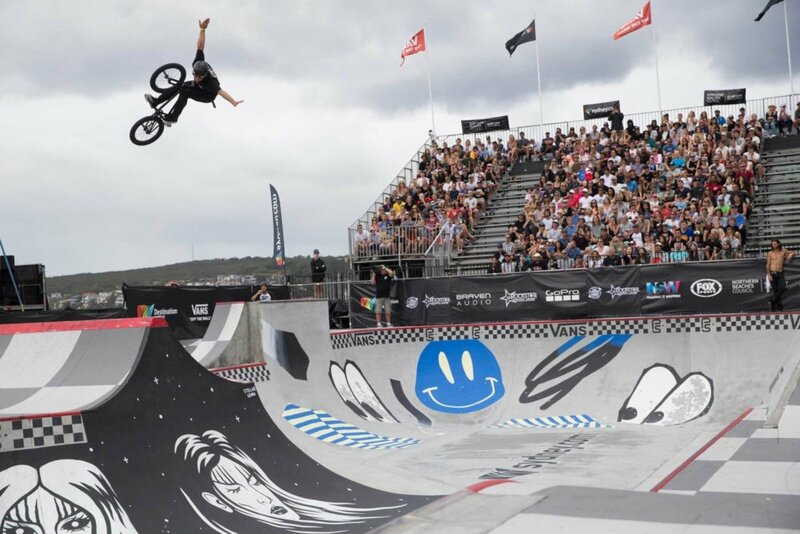 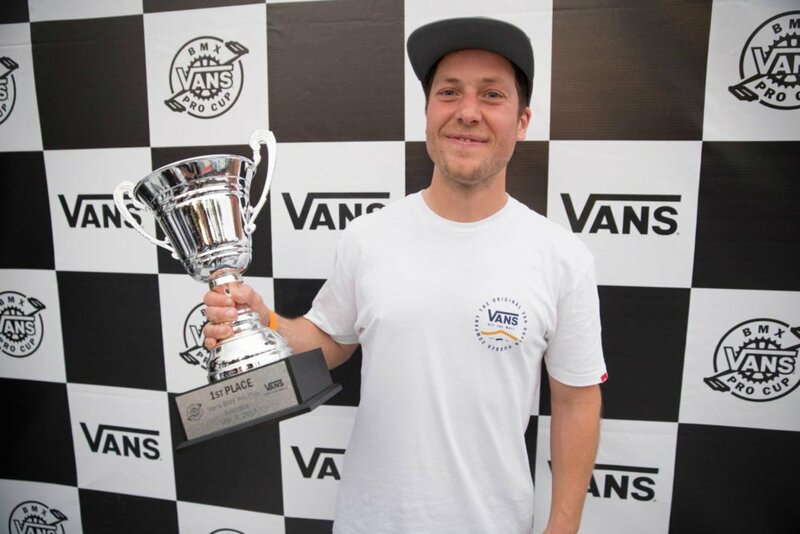 Speed, height, power and originality were in full force today, as the inaugural Vans BMX Pro Cup Series Global Qualifier re-commenced an intense BMX competition in Manly Beach, Australia despite severe weather delays. 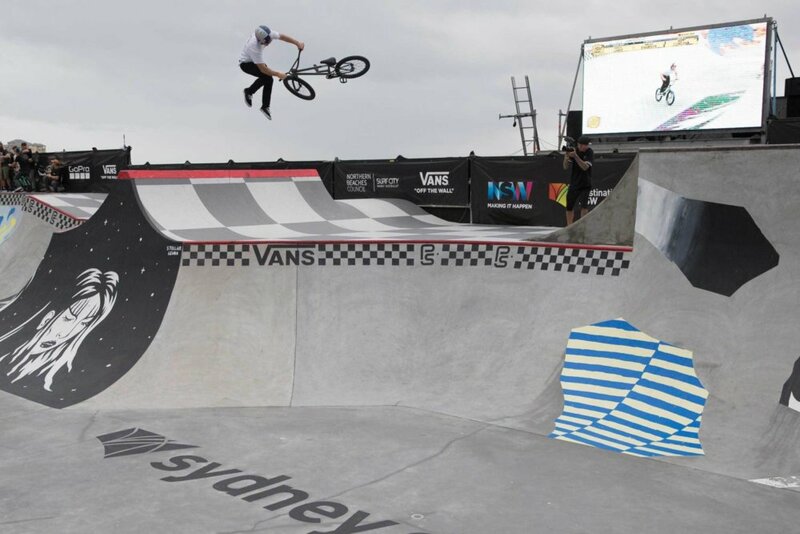 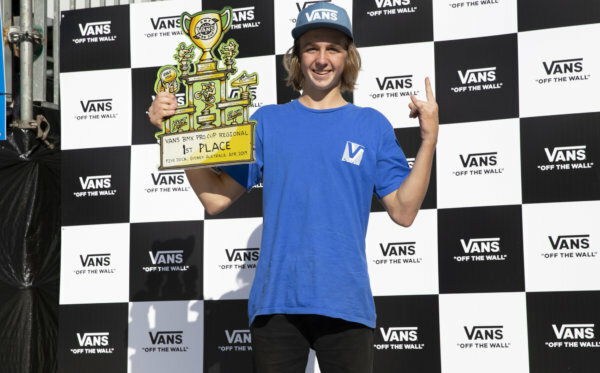 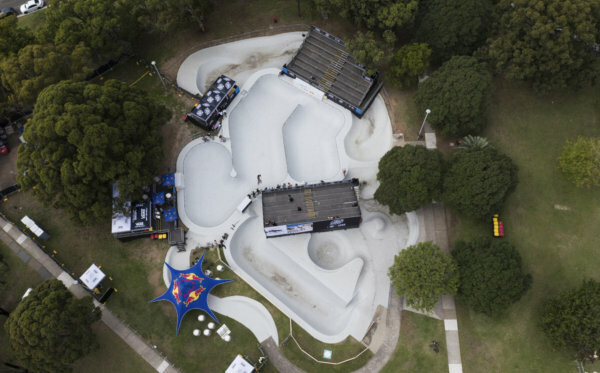 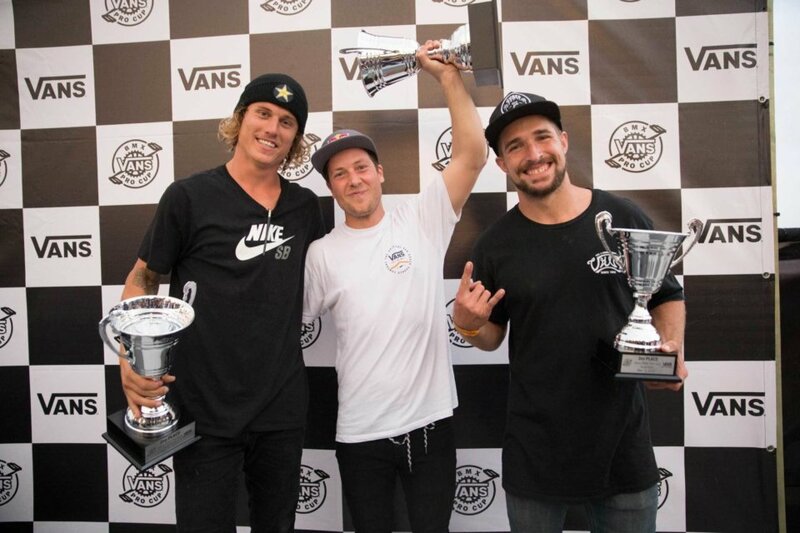 Beginning with a field of over 30 competitors, Spain’s Sergio Layos seizes the Vans BMX Pro Cup Sydney title, winning first place for executing flawless trick combinations and colossal airs with lightning speed throughout the custom-spec park terrain course. 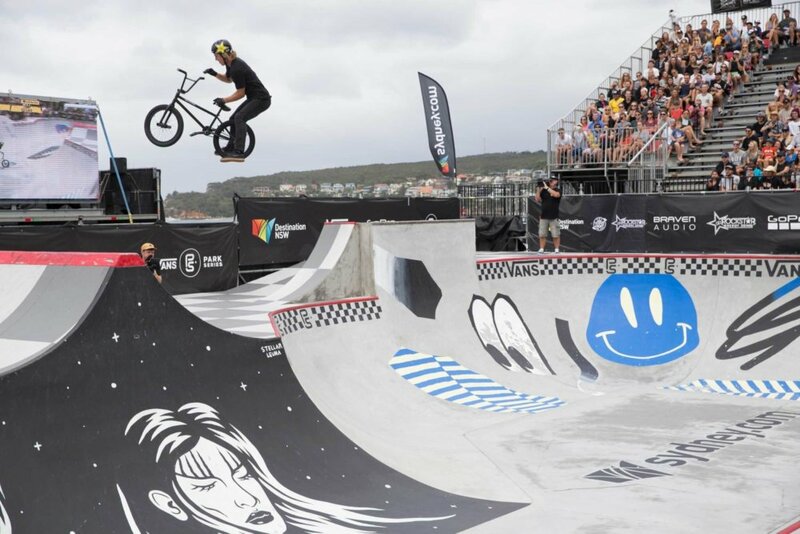 Not far behind him, contest warrior and BMX icon Dennis Enarson placed 2nd, delivering his signature performance, blasting through runs with effortless style and explosive lines. 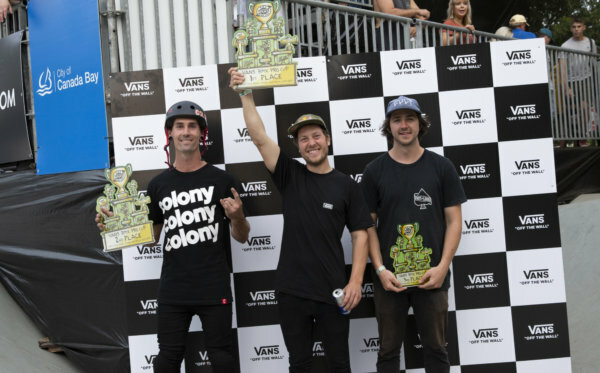 In a well-deserved 3rd place, Larry Edgar surprised all with his fearless momentum, consistency, and creativity, also earning him the LUX Best Trick award for his tuck no-hander to table hip transfer, over the spine. 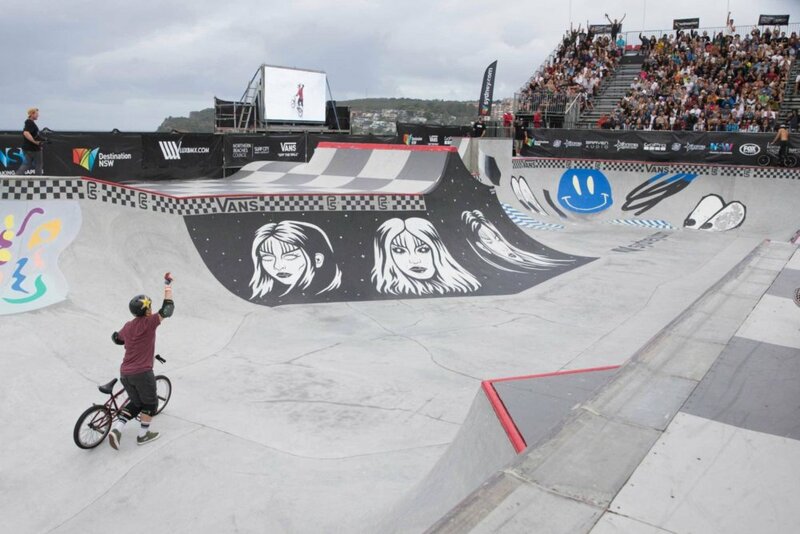 Finally, in one of the best highlights of the day, Ryan Nyquist, crowd favorite and BMX’s most beloved legend, dominated the park terrain in overall performance, shocking the crowds with one of the most exciting runs of the entire competition, to end with almost landing an insane 900 in the deep end.